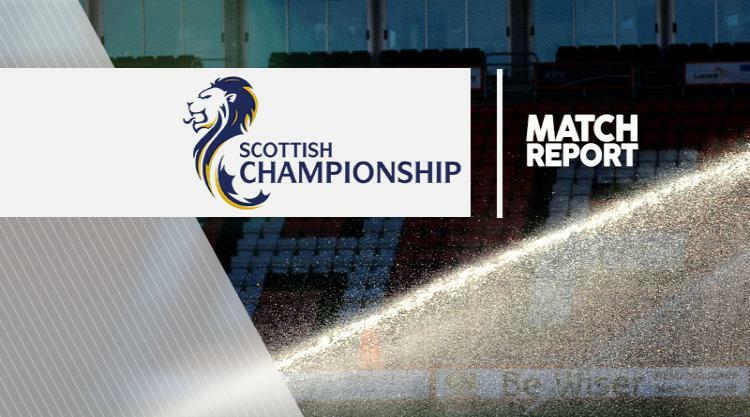 Declan McManus struck in the last minute to guide 10-man Raith to a 2-1 win over Ayr but they failed to pull themselves out of the Ladbrokes Championship relegation play-off place. Rovers will have to fight for their Championship future in the play-offs after a point for St Mirren at Hibernian prevented Raith climbing above them, while Ayr's relegation was confirmed. Raith made the worst possible start when goalkeeper Pavol Penksa was shown a red card for a foul on Craig Moore. However, Raith went ahead eight minutes before the break when Jonathan Court fired home from the edge of the box. Ayr got themselves back on level terms with 20 minutes to go, with Ross Docherty's effort from outside the box finding the net. Conor Brennan saved Alan Forrest's penalty for Ayr before McManus scored the winner with time running out.